If you are in need of urgent dental care, the experienced team here at Thompson Center for Dentistry is standing by to help. Our Chula Vista dentists are committed to assisting you in any way we can when you have urgent dental needs that simply cannot wait. Tooth trauma can include a number of different types of injuries that can affect the health and stability of the affected tooth. Sports injuries, accidental falls, and car or bike accidents are common sources of facial impacts that lead to tooth breakage or a tooth getting “knocked out.” If this occurs, contact our office immediately. Permanent teeth that have fallen out due to an injury can often be re-implanted, but time is of the essence. You should see a dentist within 30 minutes of the initial event. Tooth trauma can also be the cause of nerve and bone damage, so it is imperative to get help as quickly as possible to prevent further oral health complications from developing. I broke a tooth and on a Sunday night (!) was able, on their website, to fill out all the new client forms and get an appointment for 1st thing Monday morning! Was warmly greeted as soon as I walked in and had only been seated about 1 minute when they called me back. Dr Thompson was wonderful—very attentive, explaining everything clearly and answering all my questions. Her manner was very caring and competent. She did an excellent job—as pain-free as you can expect! Staff was wonderful too. The building was immaculately clean and cheery. I will be getting all my dental work done at the Thompson Dental Center from now on! A tooth that is heavily damaged or decayed, but is not yet beyond saving, can often be treated with root canal therapy. If you are in need of a root canal to repair a tooth, address an abscess, or alleviate pain, our practice can help. Sometimes, a tooth that has been badly injured or suffers from extensive damage and decay simply cannot be saved. In these cases, our dentists can delicately extract the tooth and prevent it from causing further harm. While our practice does not offer treatment for wisdom teeth extraction (which often requires oral surgery), we do perform extractions for teeth that are fully erupted and yet are so heavily damaged that attempts to repair them would prove futile. 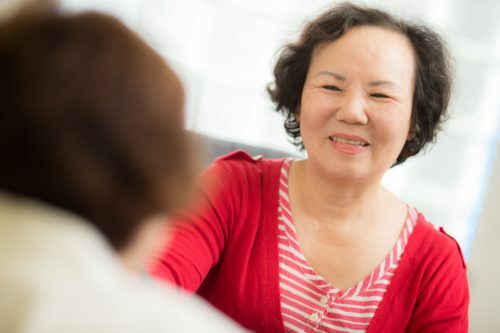 If you need a tooth extraction, know that our practice offers a number of replacement options, including dental implants and bridges, that can restore your teeth with results that both look and feel natural. Dental emergencies can arise at any time and for a multitude of reasons. 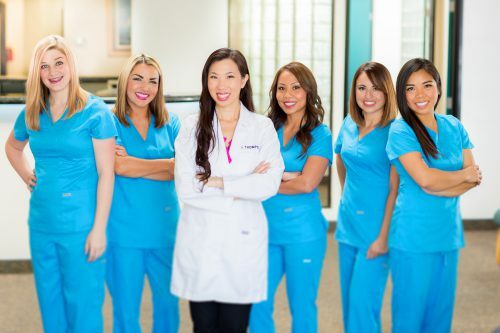 Our dental team is standing by to help in cases where dental problems may need immediate care. Dental emergencies can include cases of extreme pain in the gums or teeth, a traumatic dental injury, a dental abscess or infection, excessive bleeding in the gums, a broken tooth, extreme tooth sensitivity, teeth that have been knocked out or simply fall out on their own, or other factors. Quick evaluation and treatment in a dental emergency is very important. If you believe you are experiencing one, please don’t hesitate to call our office at any time of day and you will be given instructions on what to do.